Can I charge my mobile device while recording with the Swivl Robot? My C Series Robot will not charge or connect with the Swivl app on my device. When you plug the base into charge, using the included USB power block and USB charging cable, the base shows no sign that it is charging. When you dock the Marker into the base, it shows no sign that it is charging. The Swivl Robot will not turn on. 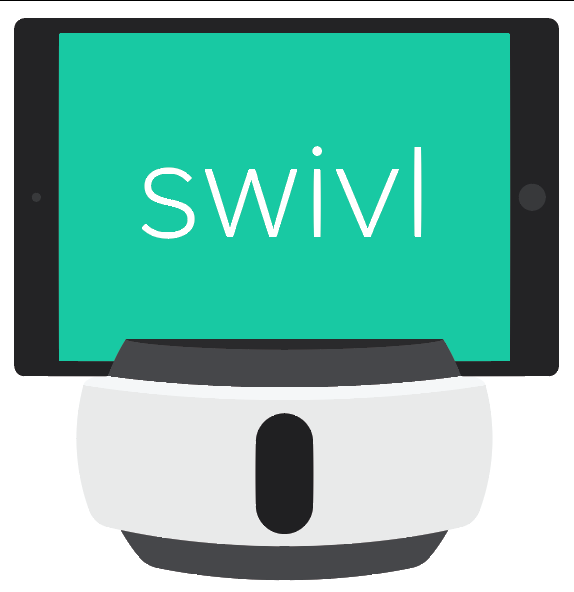 When you turn on the robot and connect it to a device running the Swivl app, the app shows no sign that it is connected to a Swivl. Hard Reset: Plug in the wall charger and connect the Swivl base to power. Hold down the power button on the base for approximately 8 seconds, until both LEDs on the base turn orange. Turn on the robot. Update Firmware: Turn on the robot. Open the app on your mobile device, and connect the robot with the device. A message will pop up, requesting that you update the firmware, tap “Allow” to install the update. Hold down the power button on the Marker for 8-10 seconds. The Record LED will flash orange and the Marker will turn off. Hold the power button down for 2-3 seconds to turn the Marker back on.